Medical Malpractice Help » Lawyer » Surgical Malpractice » Can Patients Sue For Injuries From A Breast Biopsy? With approximately 200,000 cases diagnosed each year, breast cancer is one of the most pernicious threats for women in the United States. The prevalence of the disease is why it is so essential for women to perform regular checks for lumps and abnormalities. If a suspicious area is found, it is critical to see a doctor immediately and have the area biopsied to determine if the lump is cancerous. For the most part, a breast biopsy is a simple and non-invasive procedure that can be performed in the doctor’s office or laboratory. It requires a needle insertion utilizing local anesthesia. Nonetheless, in some cases a more invasive kind of biopsy is required, most likely in a hospital where the medical staff can apply general anesthesia. Fortunately, the majority of women who receive biopsies are cancer free, and those who detect the disease in its preliminary stages are more likely to have successful treatment. Excision Biopsy – A more invasive procedure which involves removing a large section of the growth with the use of a 2 inch incision. Surgical Biopsy – For the removal of deeper, non-palpable lumps, requiring both image techniques to locate the growth and general anesthesia for the patient. Regardless of the type of surgery, there is always the potential for a mistake by the surgeon or the assisting medical staff. Nevertheless, most negligence or malpractice suits with relation to breast biopsies occur due to an improper diagnosis or failure to identify the cancer. Given the importance of early treatment, any delay or misdiagnosis of a cancer can be potentially fatal. If the cancer does spread or worsen as a result, the doctor may be held liable. It is generally rare for a doctor to misdiagnose or be completely negligent during a biopsy. However, when such an incident does occur, it fits the very definition of medical malpractice. 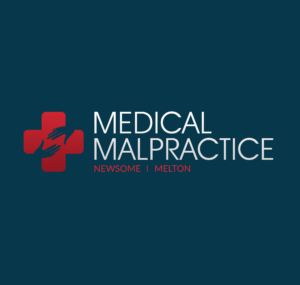 Medical malpractice is when a doctor fails to meet the accepted standards set forth for those in the field of medicine. In such instances, victims or their surviving loved ones should contact a qualified malpractice attorney to seek compensation. Plaintiffs in such cases are entitled to receive benefits for a number of damages including medical costs, loss of income, emotional pain and suffering, disability, punitive damages, and wrongful death.